Enjoy great sleep - tonight! Got a voucher code? Click here. Your card will be charged $37.00, inclusive of $0.00 VAT or sales tax, calculated based on your billing address. VAT is due on EU orders at the member state's prevailing rate. US sales tax is due on orders in the following states: MN, CA, CO, GA, IA, IL, MI, NE, and UT. If no tax is shown and your billing address is subject to tax, tax will be added automatically when submitting your order. Payments processed by SWREG INC, our processing partner, registered at 9625 West 76th Street, Eden Prairie, MN 555344, USA. VAT registration # EU826011714. We know that you will love the Sleep Salon. 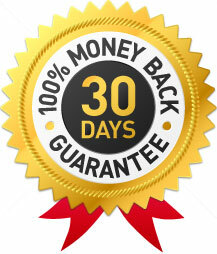 That’s why we guarantee every single purchase with a full 30-day 'no questions asked' money-back guarantee. If you aren't absolutely thrilled with the results you receive, just let us know - and we'll refund every cent you paid. No questions asked!